Great Adventure's Safari Park is a unique destination in the northeast which delights families from early spring up into the autumn months. 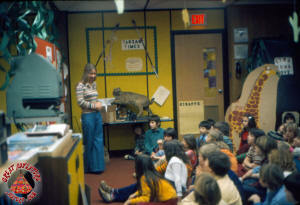 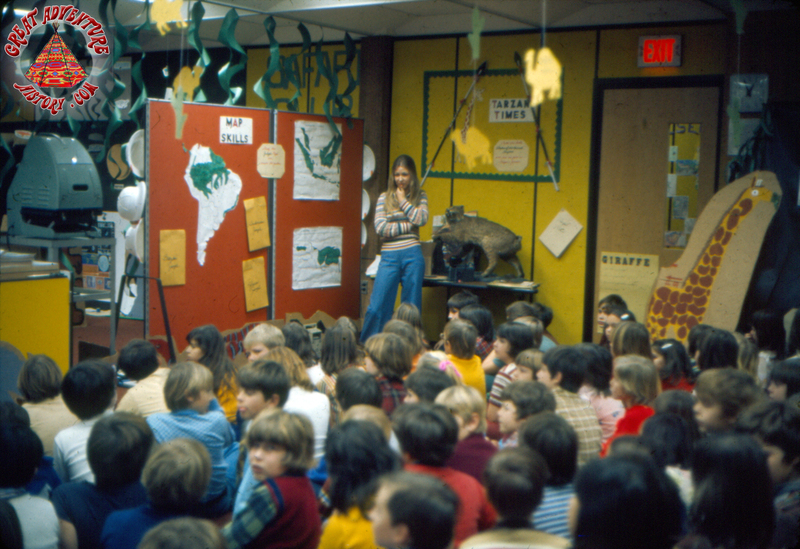 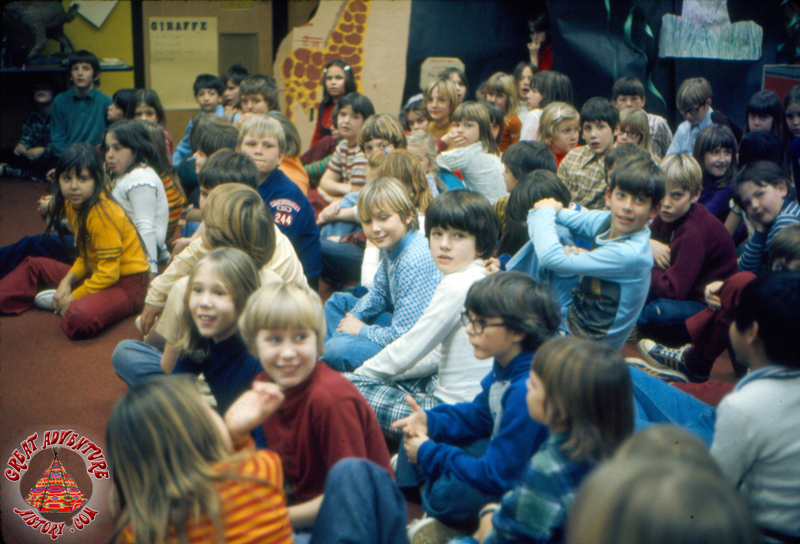 In 1975, the park's first membership club was formed offering the opportunity to learn about the park year round. 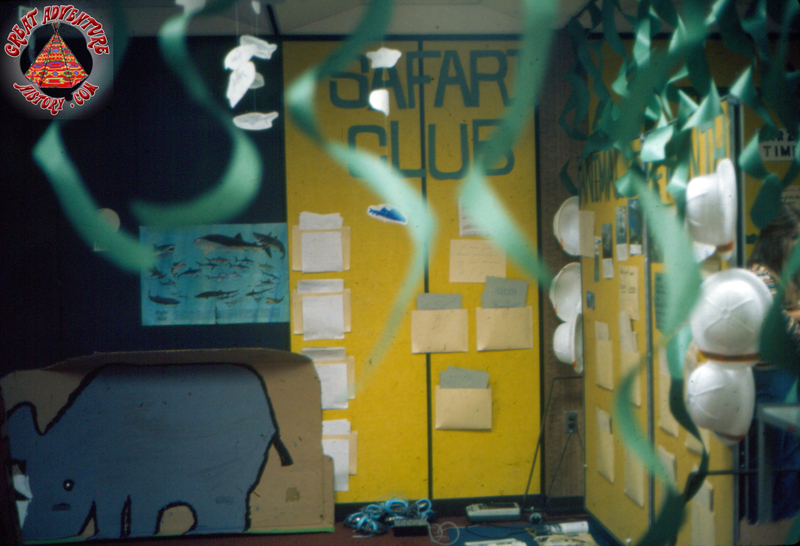 Even when the Safari was closed during the winter months, members of the Great Safari Club were able to explorer the Safari right from their own mailboxes. 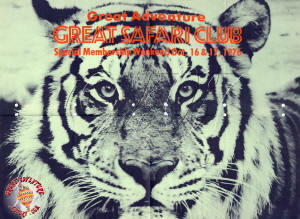 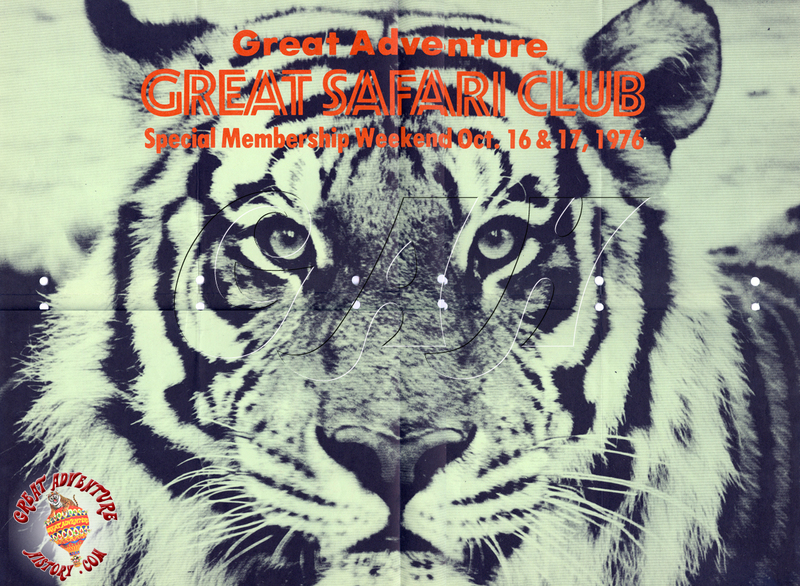 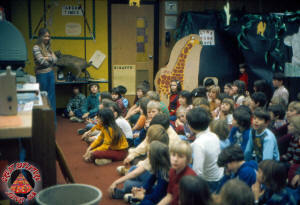 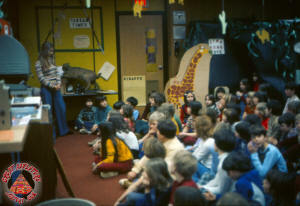 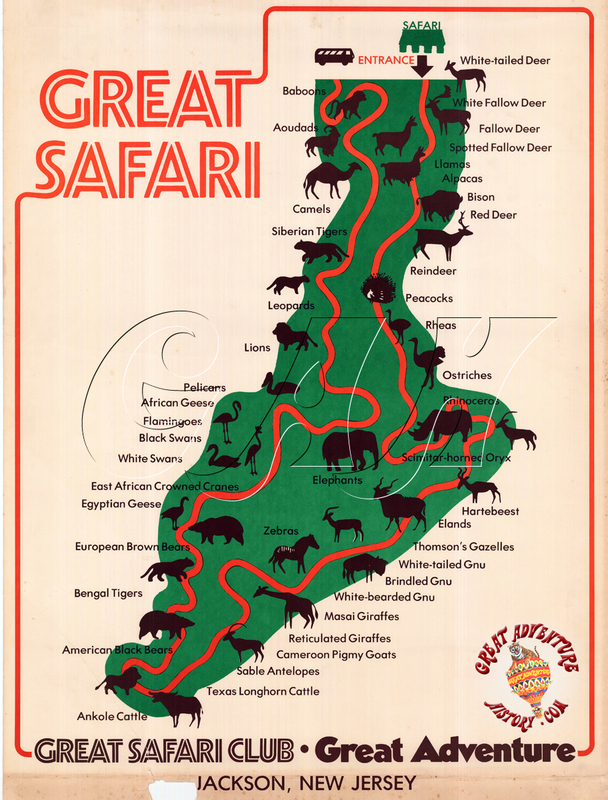 The Great Safari Club was designed to make all its members feel like armchair wardens as it offered both entertaining and educational information about Great Adventure's Safari Park. 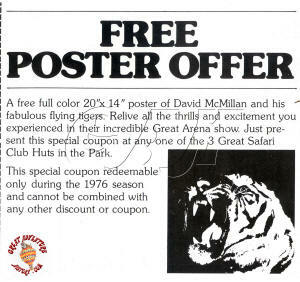 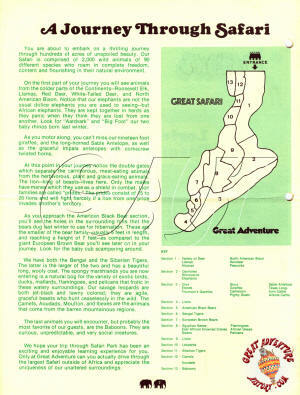 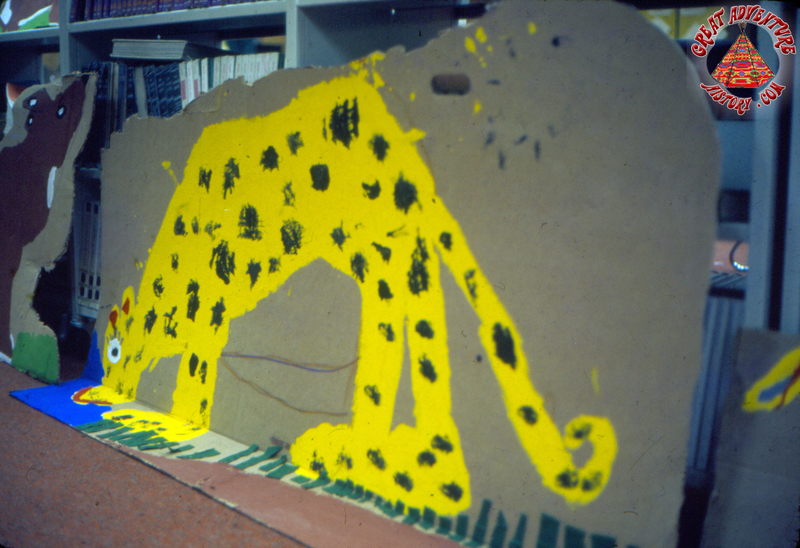 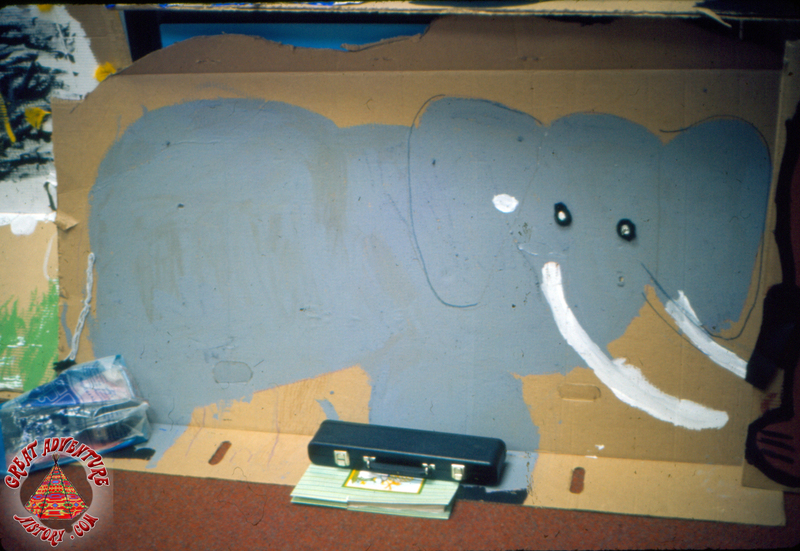 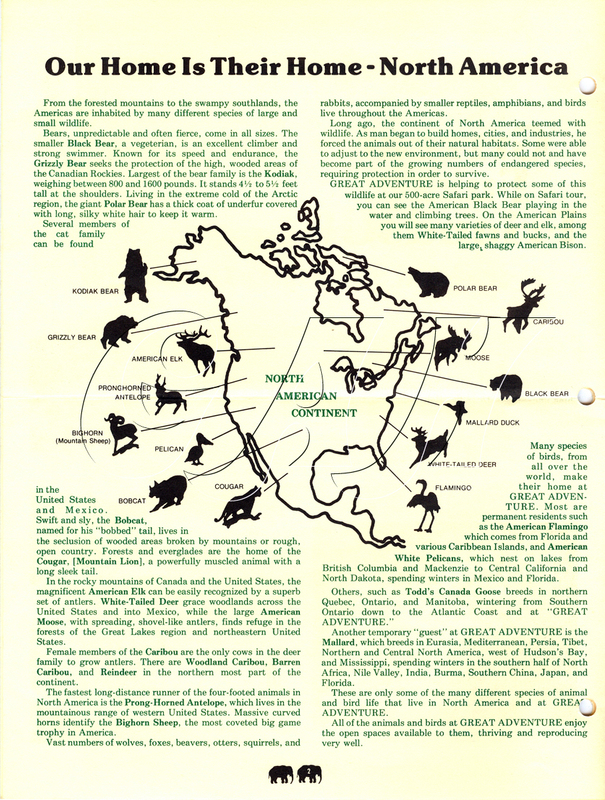 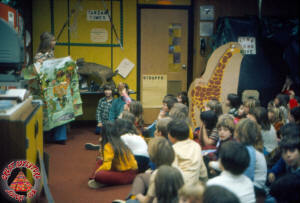 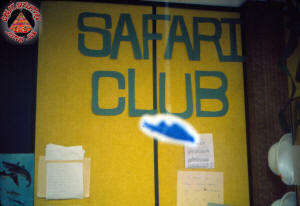 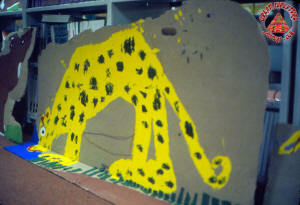 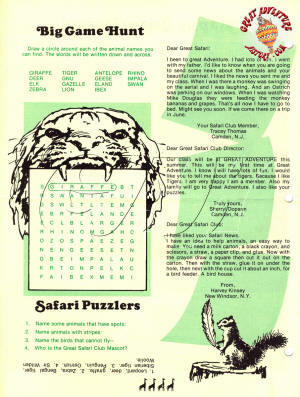 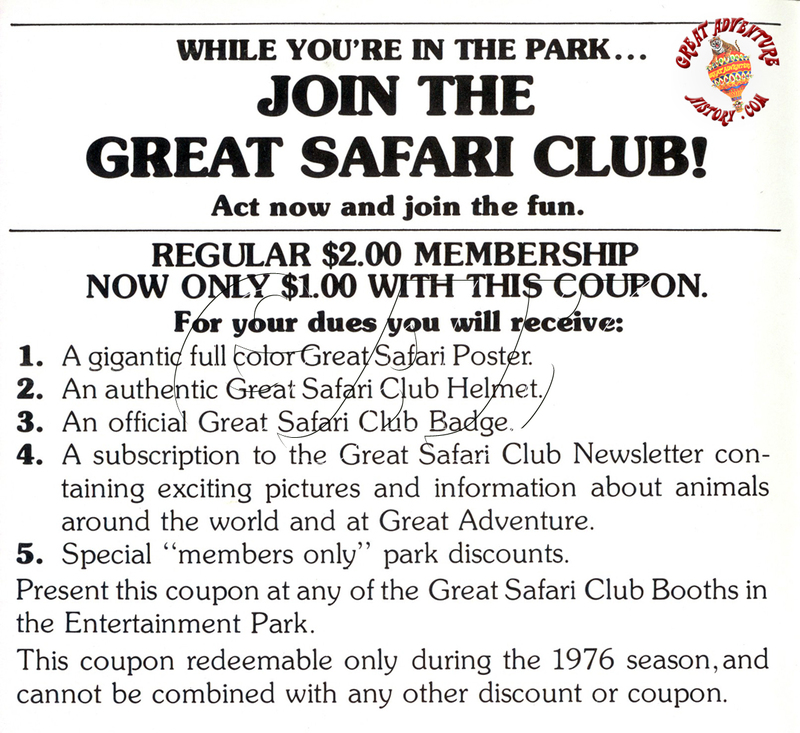 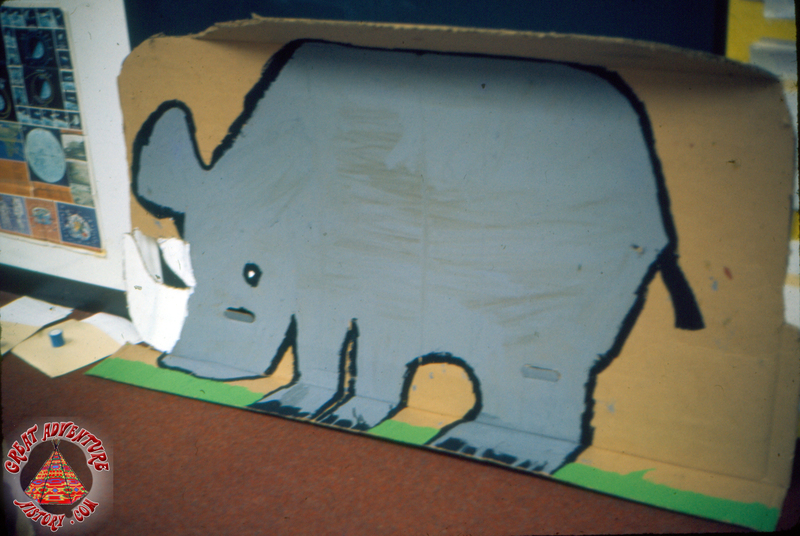 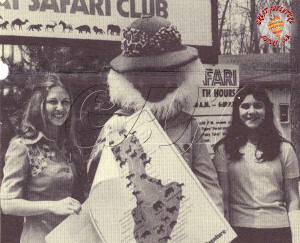 For a fee of $2, members received a poster size wall map of the Safari Park, a membership button, a Safari helmet, and a subscription to the Great Safari Club newsletter. 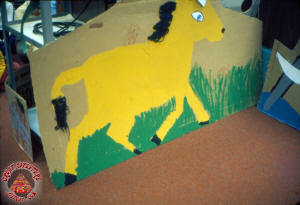 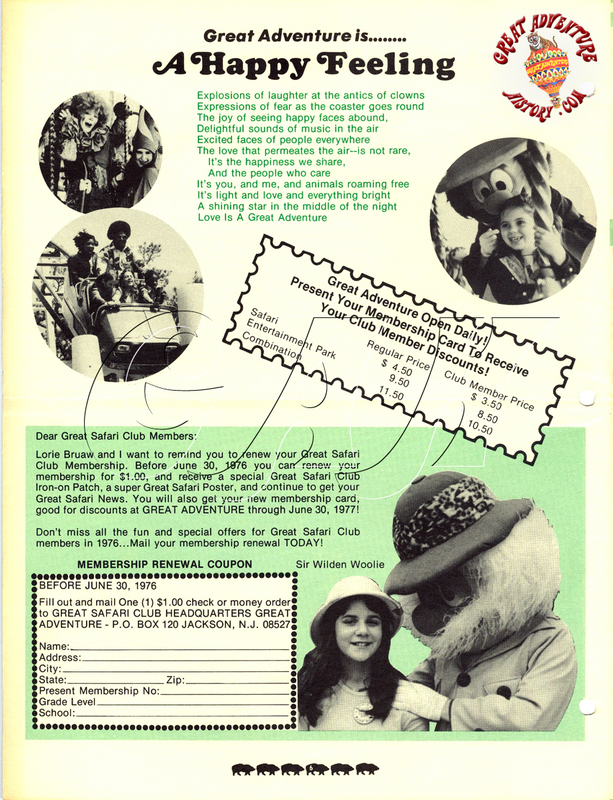 Membership was limited to just children. 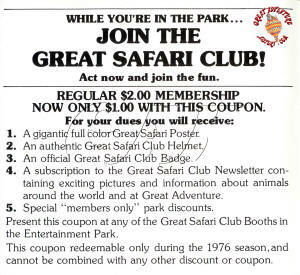 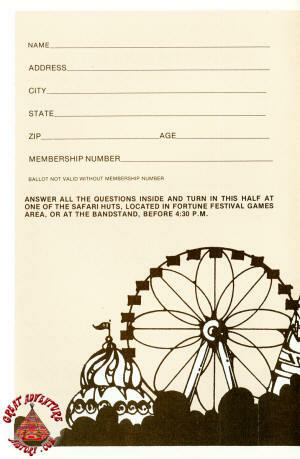 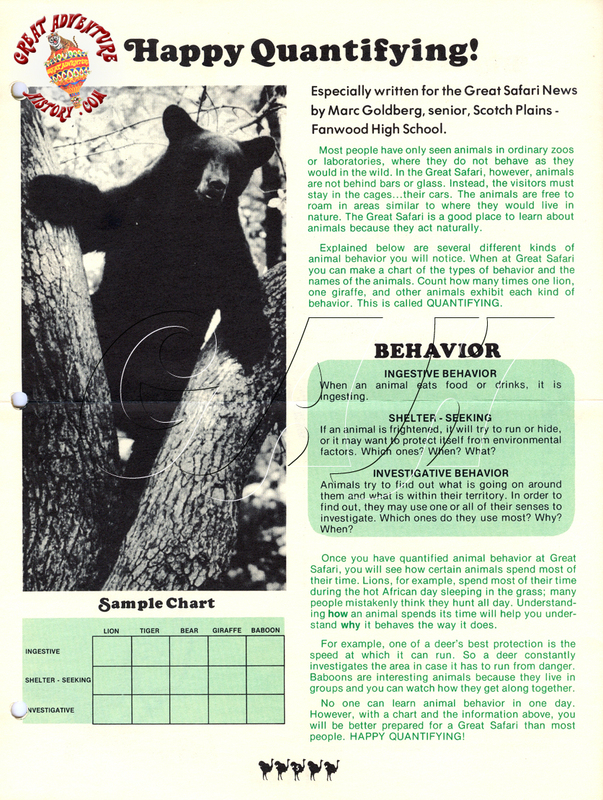 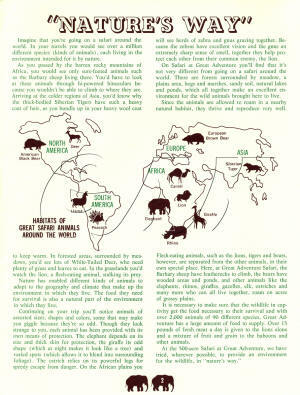 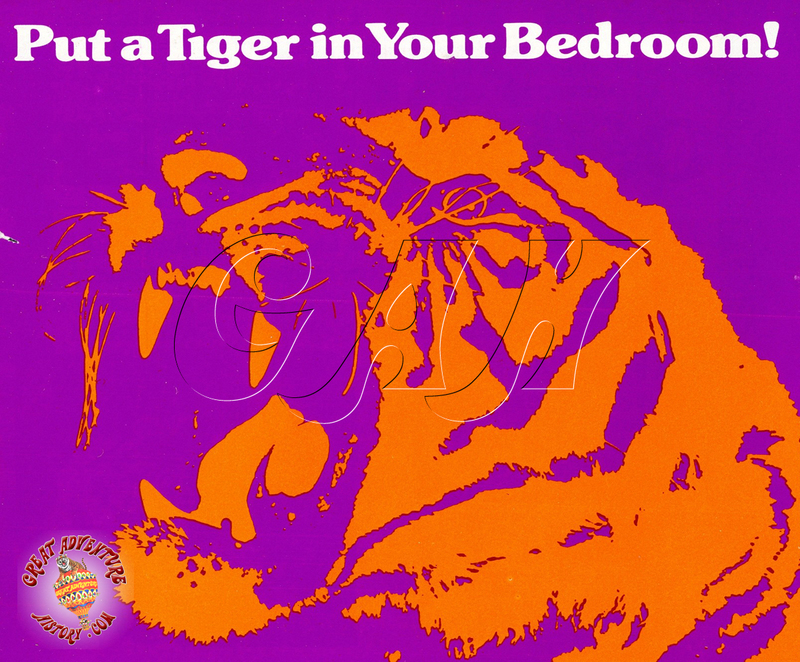 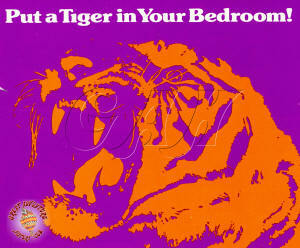 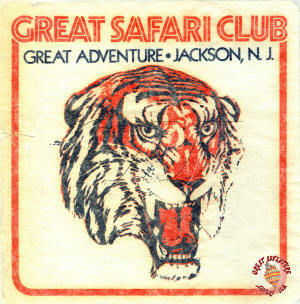 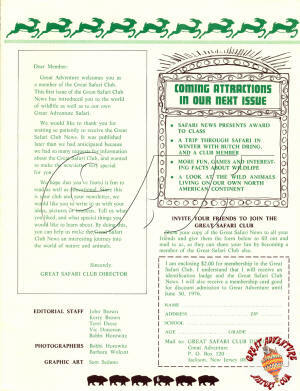 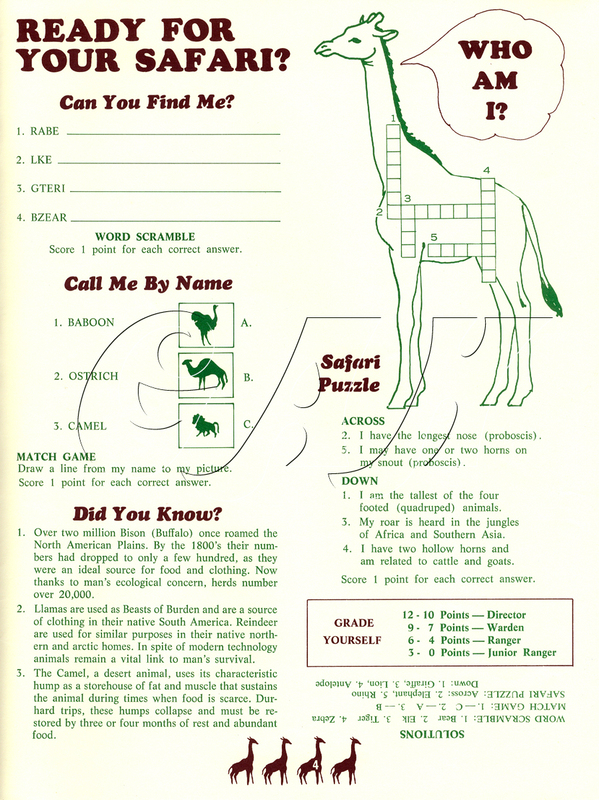 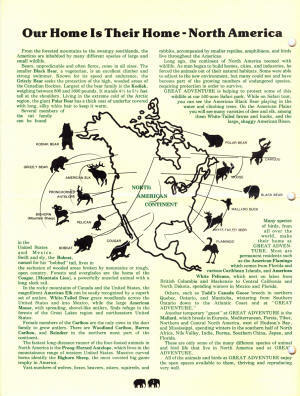 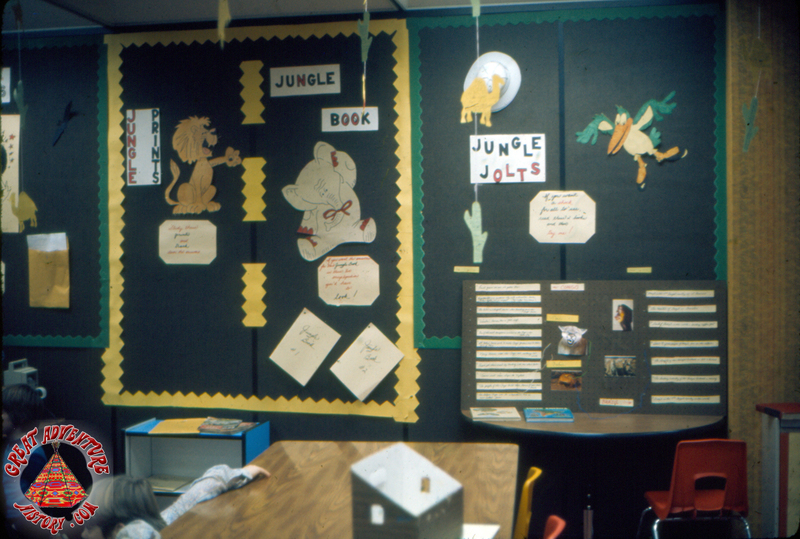 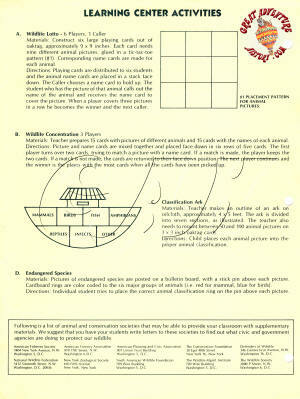 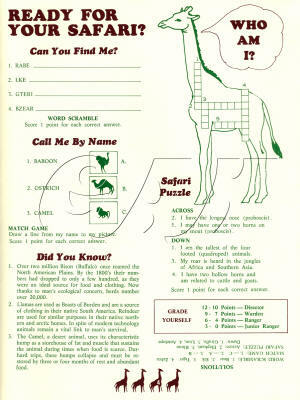 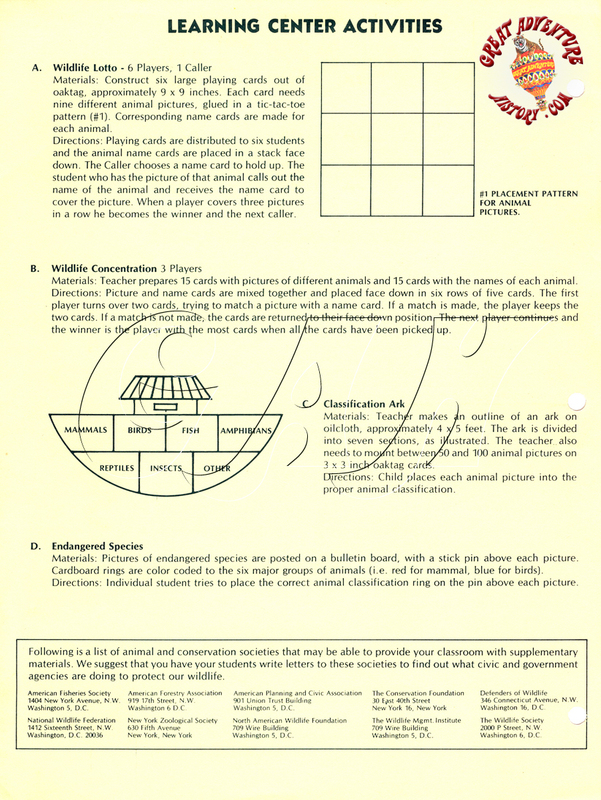 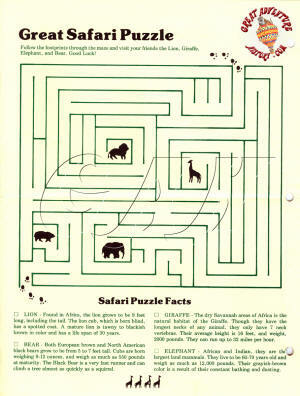 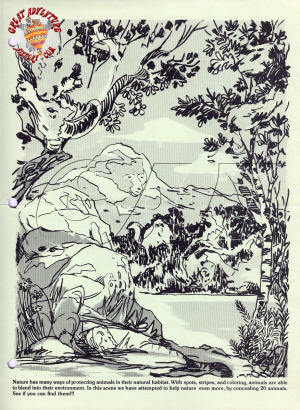 Membership applications were handed out at the Safari gates, included as mailing cards in the 1976 Souvenir Booklet which was on sale in the theme park, and could be obtained at one of three Great Safari Club Booths located in the theme park. 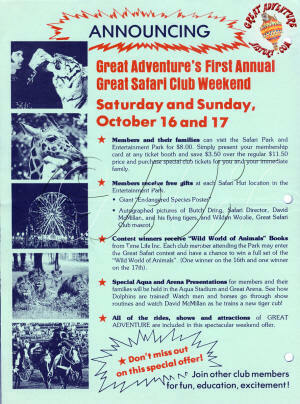 Safari rangers staffed log-clad safari huts at the Happy Feeling petting zoo, the Log Flume, and a stand in the Safari Kiosk in the Safari Hospitality Center. 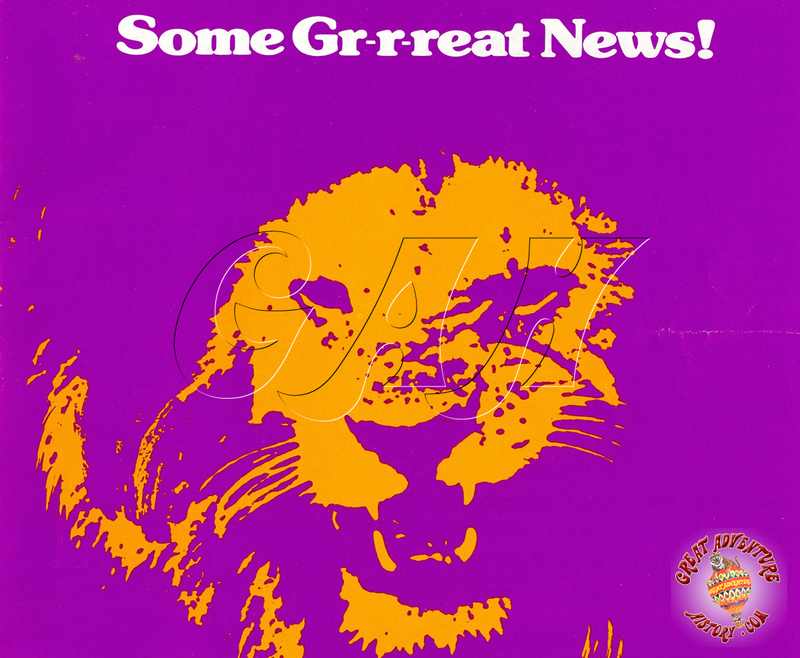 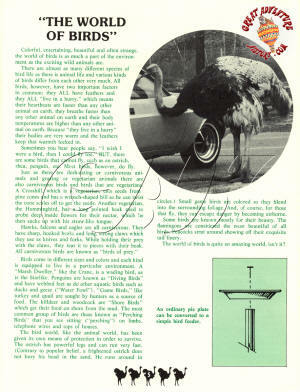 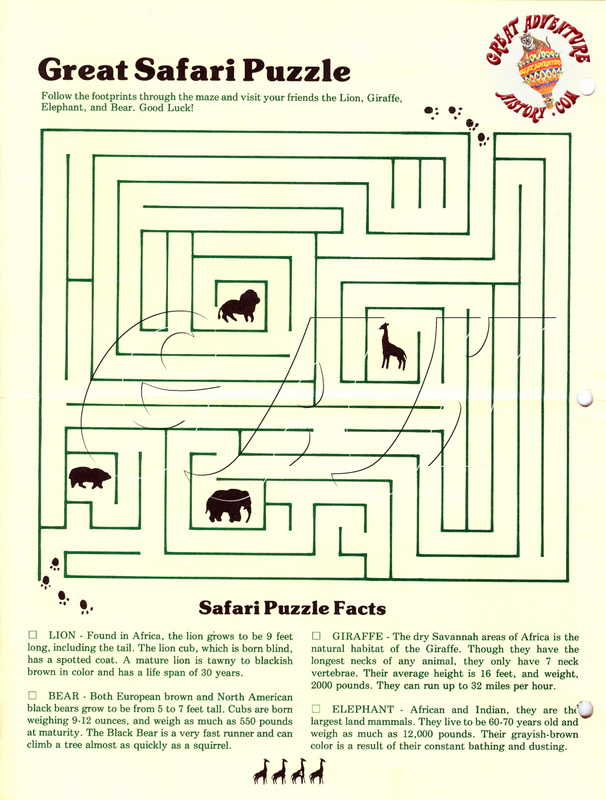 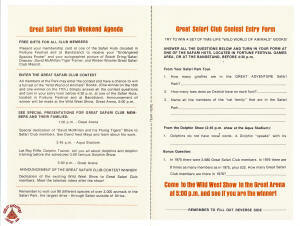 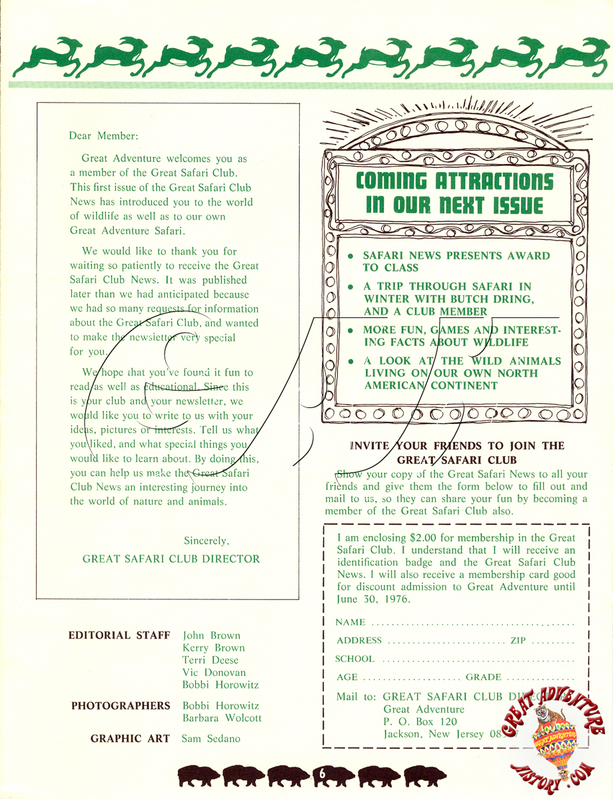 The Great Safari News membership newsletter was published every two or three months and was typically a full size six panel mailer. 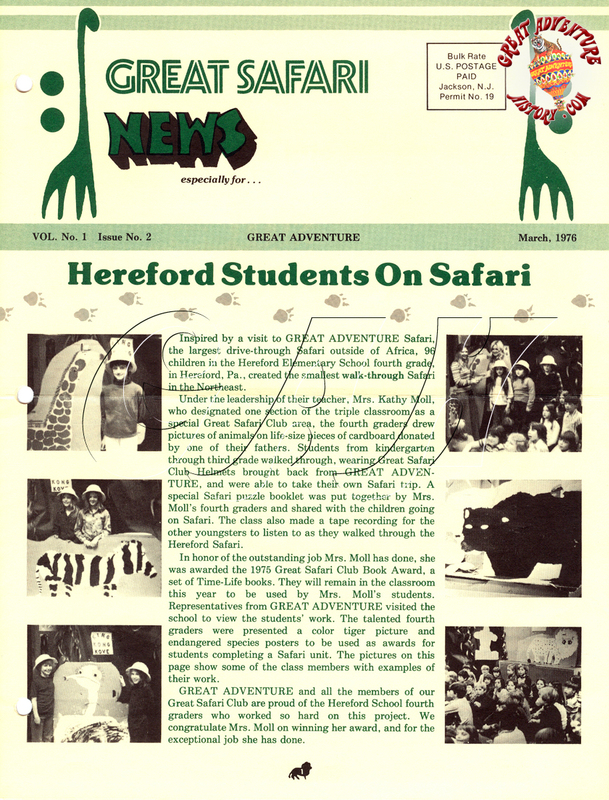 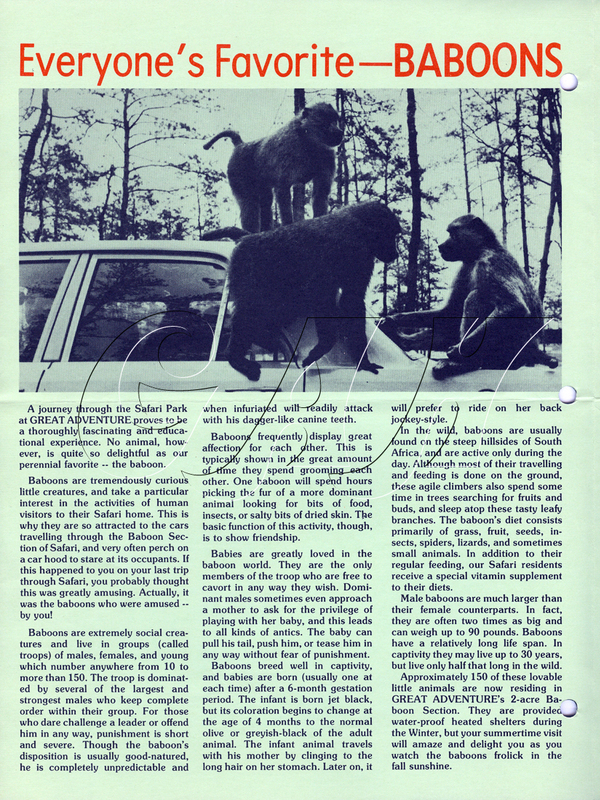 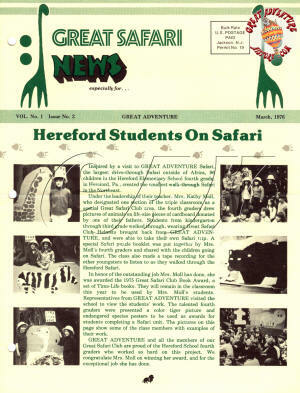 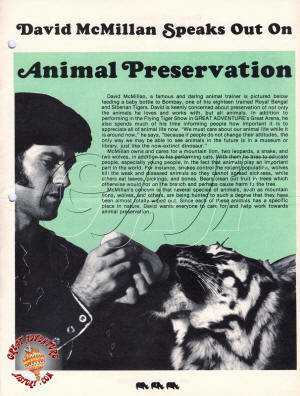 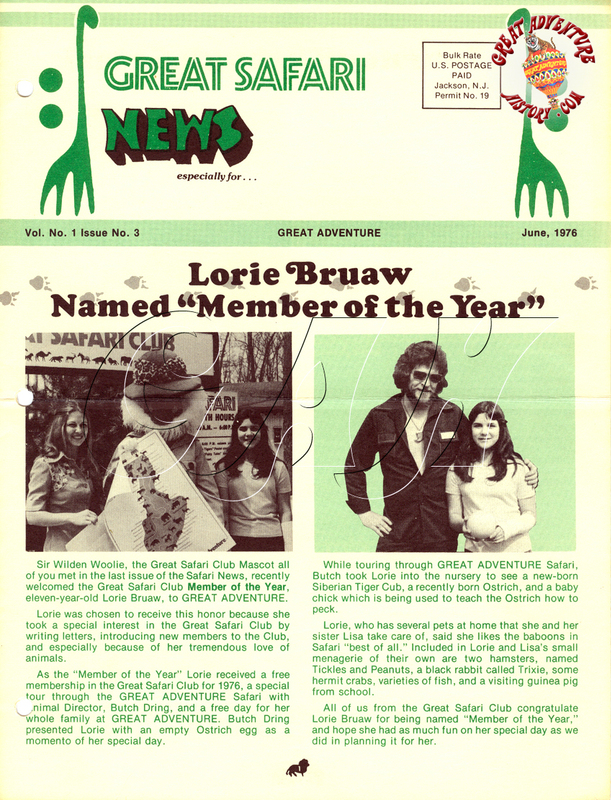 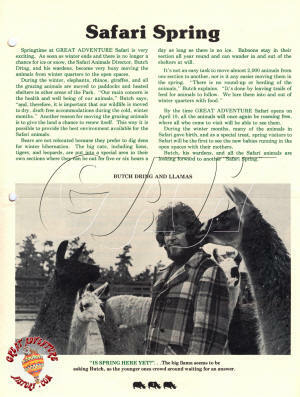 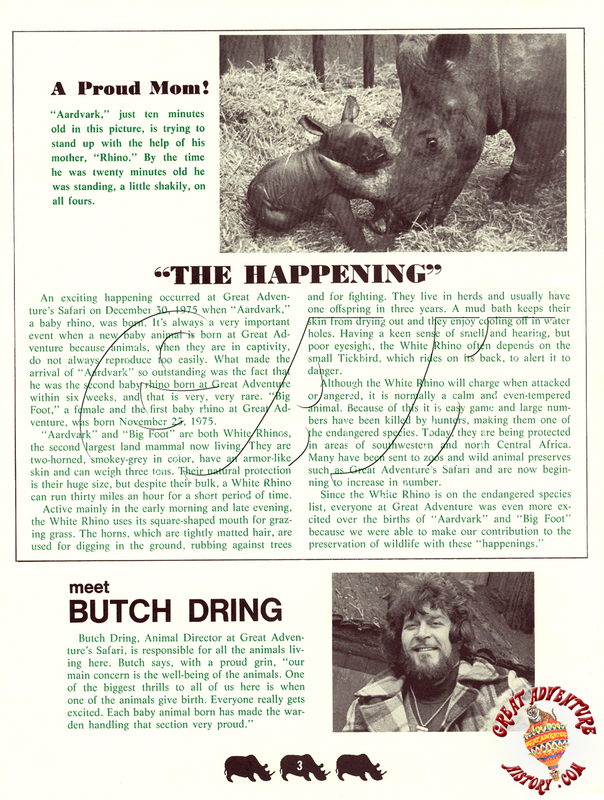 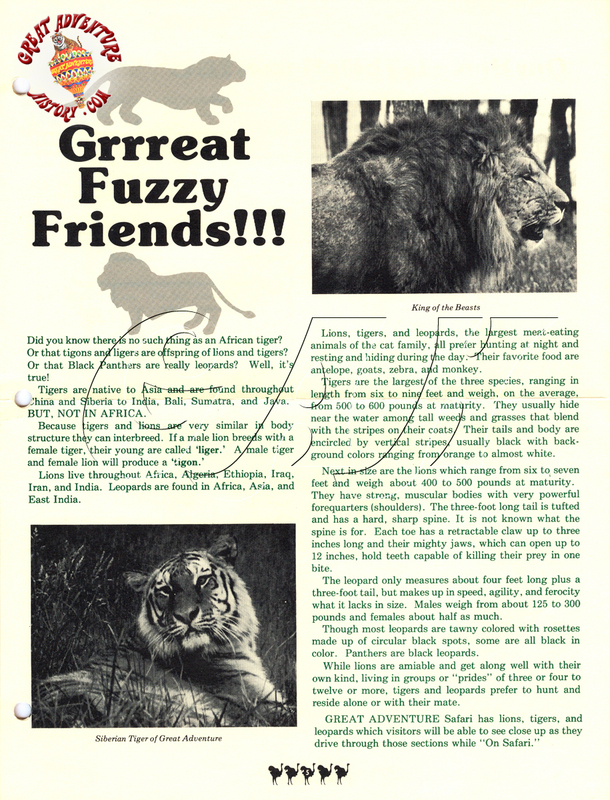 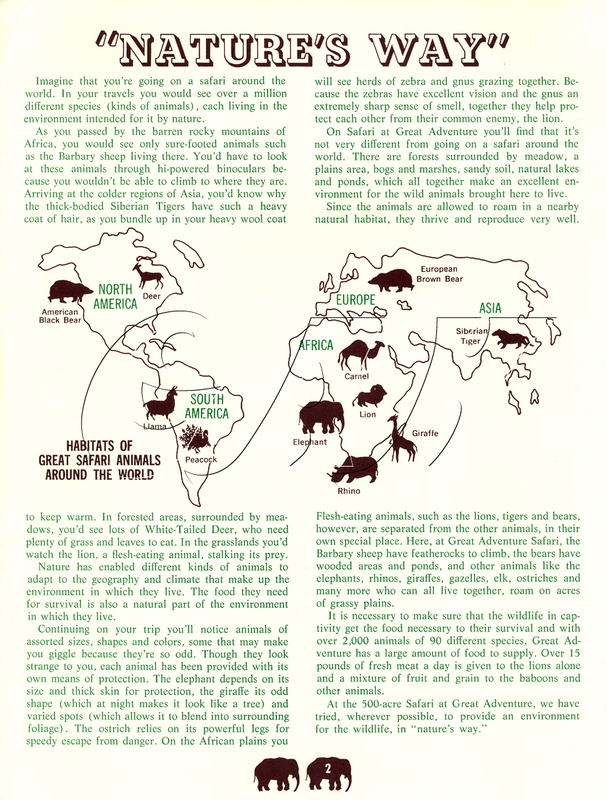 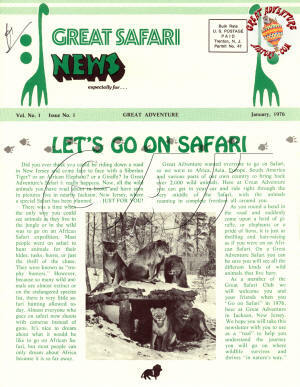 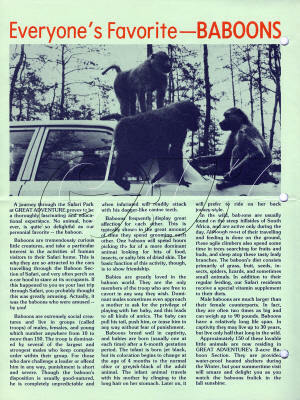 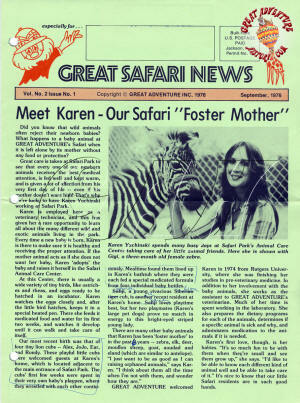 On its pages the newsletter featured articles about Great Adventure's Safari Park and its inhabitants as well as stories about animals in their native lands. 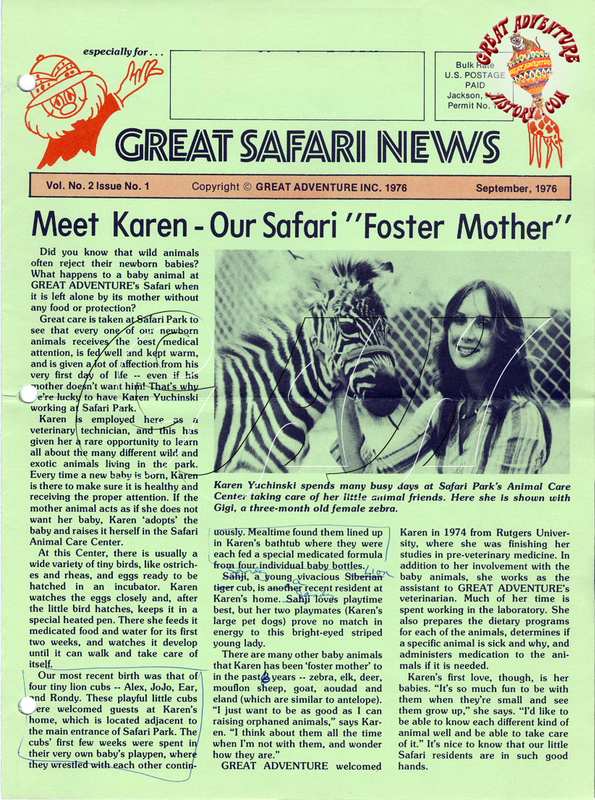 It included numerous interviews with the Safari Park's director, Butch Dring, as well as articles on the park's newest arrivals. 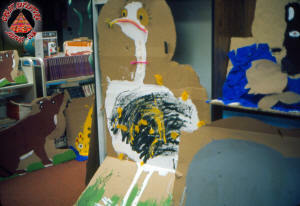 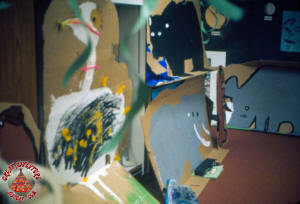 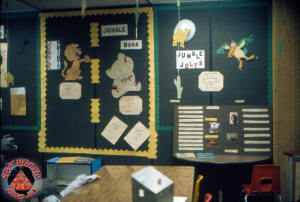 The club's youngest members were treated to animal themed puzzles and games and occasionally instructions for "at home" projects such as backyard bird feeders were included. 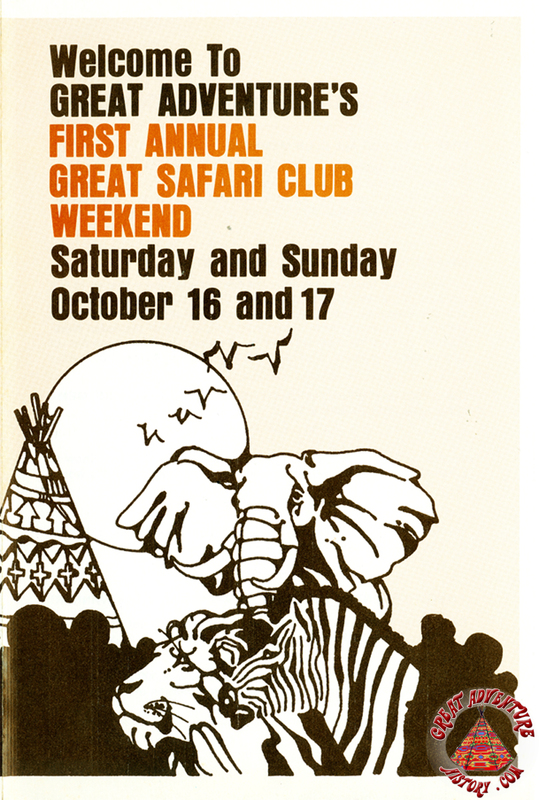 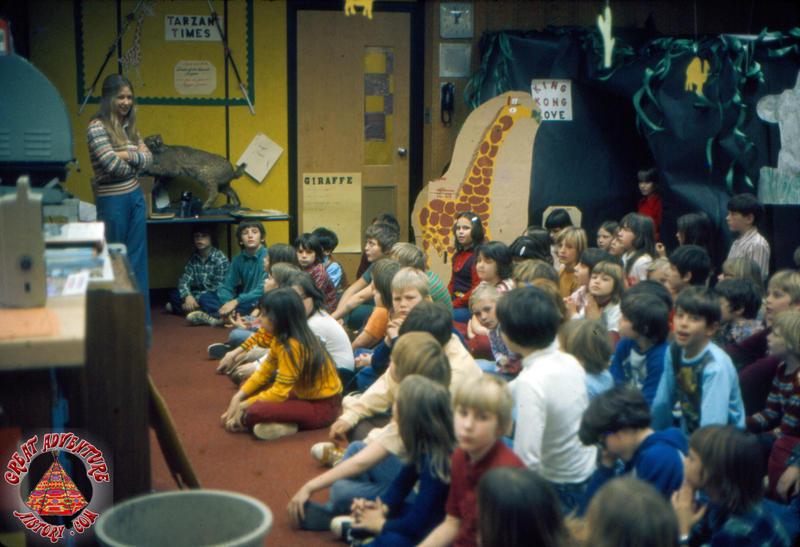 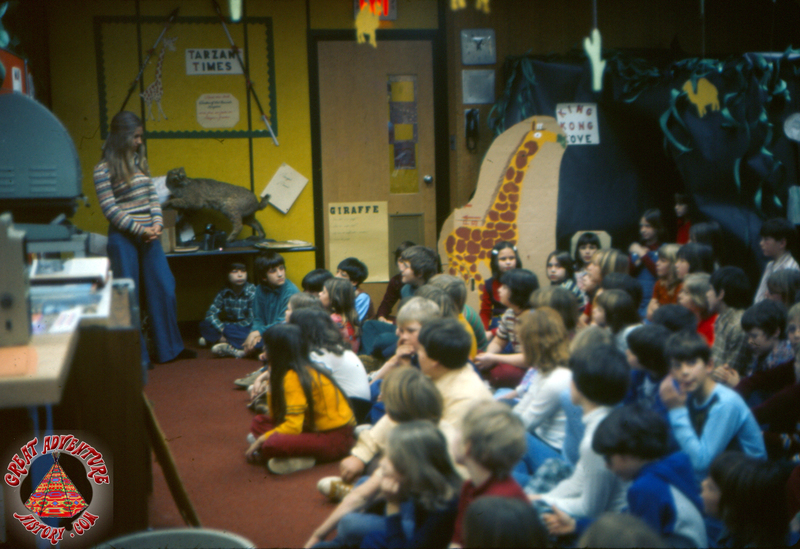 The wonderful staff of Great Adventure's Safari Park also offered several outreach programs including a Great Safari Club Weekend as well as several school outings and classroom opportunities. 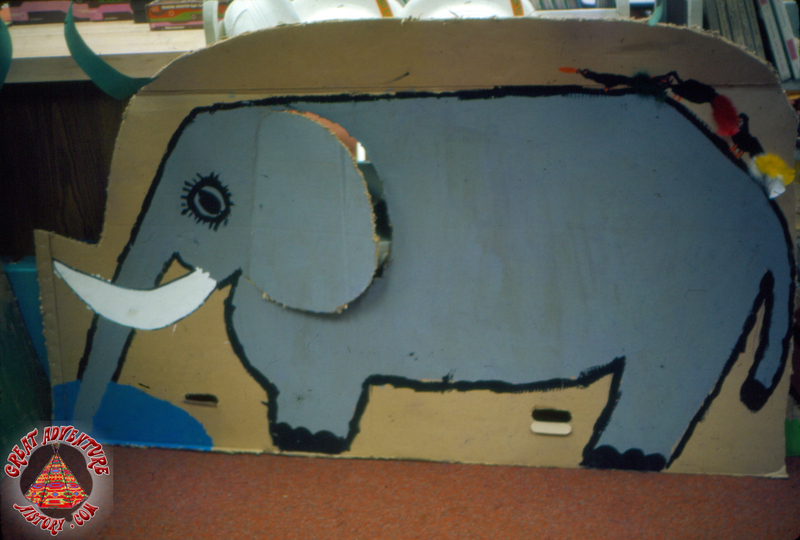 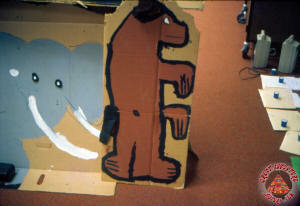 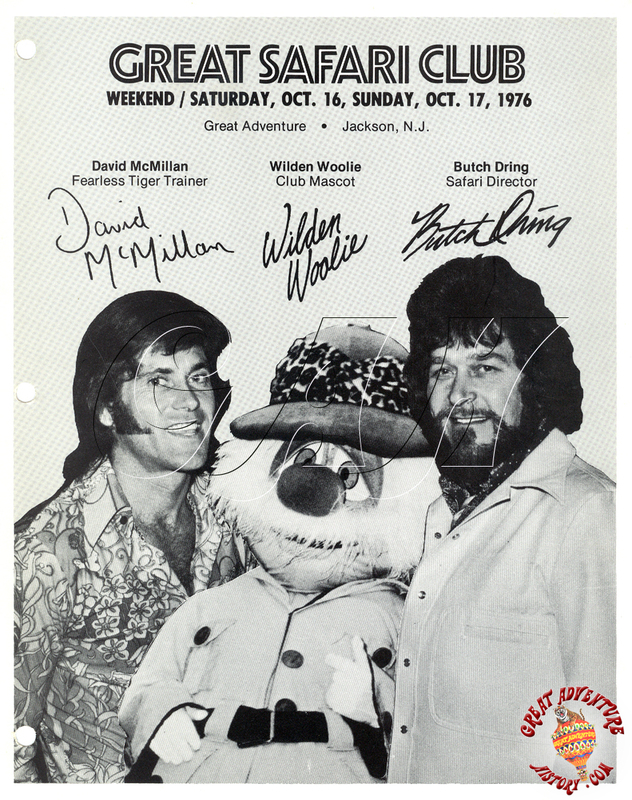 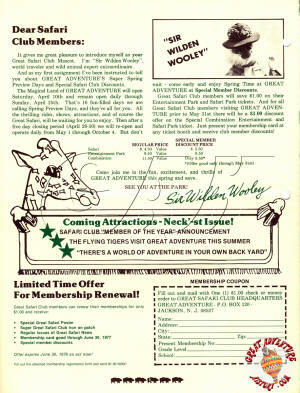 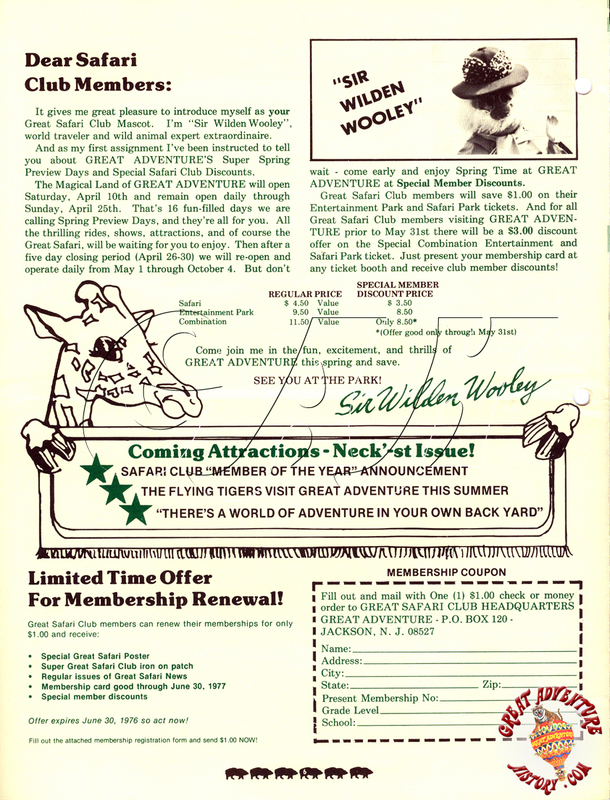 Wilden Woolie, one of Great Adventure's original characters and the Great Safari Club's official mascot, was often present to host these fun-filled events. 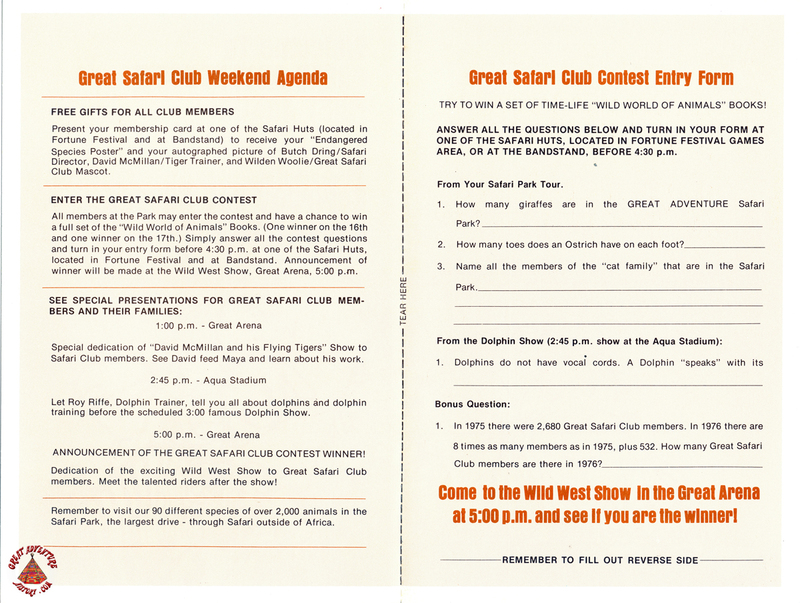 The Great Safari Club only lasted for only two season even though it was an excellent way to advertise the Safari Park and remind guests to hurry back soon. With their souvenir pith helmet, safari map, and membership badge, one has to wonder how many little kids played Safari Warden at home taming their fierce man-eating house cat or dog!